Most people in New York City experience indigestion now and then. If having an upset stomach and being a little gassy bothers you, you should consider seeing your Manhattan gastroenterologist. If the condition recurs frequently or is accompanied by more severe symptoms, your indigestion may be the result of poor food or lifestyle choices. 1. Increase fiber. The best way to keep your stomach and intestines in good working order is to include more fiber in your diet. Your body needs fiber — as much as 25 grams a day for women and 38 grams a day for men, according to the Mayo Clinic. Fiber is easily digestible, so it helps to clean your system by pushing everything along. Whole grain breads, raspberries, split peas, lentils, and beans are all high in fiber. Drink plenty of water during and after your high-fiber meal to aid digestion. 3. Change your habits. Reduce the portion size of your meals. Don’t eat within a few hours of going to bed. Avoid fatty foods, such as fast food. Your body can’t tolerate highly processed foods, which can lead to indigestion, gas and bloating. 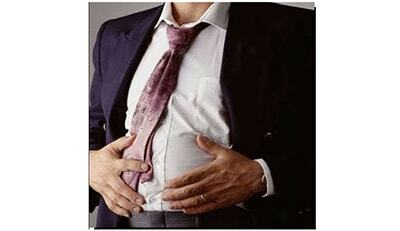 Don’t wear tight-fitting; they can put undue pressure on your stomach and intestines. Also, lying down after a meal actually can worsen your indigestion. 4. Make healthier choices. If you smoke, you should consider stopping. Nicotine taxes your whole body, not just your lungs. Decrease the amount of alcohol and caffeine you drink. If you’re overweight, shed some pounds. Finally, seek to reduce your daily stress. If you can’t quit your stressful job or remove yourself from a stressful relationship, find time and activities that help you cope– such as meditation or gentle exercise. Remember: if your heartburn symptoms persist despite having taken these steps, see your doctor. If you also have more serious symptoms — such as a change in your bowel patterns or acid regurgitation — book an appointment with a gastroenterologist in New York City. It could be the sign of a more serious illness. Contact us for more information on how NYC Gastroenterologist Dr. Shawn Khodadadian can help to treat heartburn, gas & indigestion.